Copenhagen, founded in 1167, is the capital of a modern, affluent, democratic society. The city is a study in contrasts: old world charm combined with the hustle and bustle of an efficient modern economy; pedestrian-only walking streets with outdoor cafes combined with an extensive public transportation system; a sparkling European metropolis of 1.5 million people offering an abundance of culture, yet projecting friendliness, intimacy and safety; home to a university dating from 1479, yet a modern educational center with several colleges and universities, lots of students, and a vibrant youth culture. Within walking distance of DIS you’ll find the main universities and research libraries of the country, parliament and government offices, European Union agencies, Denmark’s Central Bank, and superb art and history museums. Hobart and William Smith Colleges have affiliated with DIS Copenhagen to offer an off-campus program in Copenhagen, Denmark, capital of the oldest kingdom in the world and one of the most socially progressive countries in Europe. At DIS students can take classes (over 200 courses are offered) taught in English by an outstanding group of faculty and can participate in study tours to other European countries (Russia, Germany, the Czech Republic, and other parts of Northern Europe and Scandinavia). Students on this program may choose from among a variety of integrated housing options, each offering a different cultural immersion experience. A challenging academic environment, coupled with Copenhagen’s cosmopolitan appeal, creates an opportunity for a unique off-campus experience. Students who participate in this program can select courses from the arts and humanities, religious studies, social sciences, education and child development, environmental studies, marine biology, economics, computer science, media studies, medical policy and practice, and pre-architecture. For specific information about courses and the program, please pick up a copy of the DIS Catalog from the Center for Global Education or click here. Due to the wide range of courses offered through DIS, this program can accommodate students from a variety of disciplines. It will be of particular interest to those studying architecture, biology and environmental science, psychology, social sciences, and those involved in the education program. 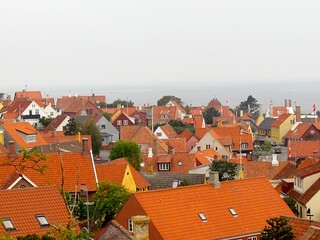 Housing options include: 1) a homestay with a local Danish family, carefully chosen for their interest in hosting an international student 2) a furnished residential hall (Kollegium) with Danish and other international students 3) a room at a Folkehojskole, a residential college or 4) a flat to be shared with one or two Danish roommates. Other non-integrated housing options are not available to HWS students. Options 2, 3 and 4 are self-catering and students will need to plan to do their own food shopping and to share a kitchen. Those who choose options 2, 3 or 4 should budget an additional $1600-$1900 for food. DIS offers a variety of excursion opportunities. Many courses include study tours to relevant sites in and around Copenhagen while longer excursions to other parts of Denmark and throughout Northern Europe (Sweden, Russia, Germany, Poland, Finland, Czech Republic, Belgium and the Netherlands) are offered. Please note that some courses or academic programs include excursions that are covered as part of the cost of the program; other excursions are optional and are at the student’s expense. Students will be charged standard HWS tuition and fees, room and board fees, and a $600 administrative fee. This will cover tuition for a four-course semester, health insurance, rental of a complete set of textbooks, all designated field study events, complete use of DIS facilities including library and computer lab, and housing. Students selecting the homestay option will also receive a full meal plan while those who select the Folkehojskole receive a partial meal plan. Please note that the Kollegium and flat options do not include a meal plan. Students choosing one of these options do receive a $600 stipend to help cover meal expenses but will need to budget additional funds for meals —approximately $1600–$1900 for the semester, above and beyond the stipend. Additional expenses not covered include airfare, visa, optional study tours, other course-related materials and personal expenses (laundry, entertainment, ground transportation and independent travel). We estimate airfare for this program at $1100-$1200 from the East Coast, visa at $300, and course-related materials at $150. It is difficult to give an accurate estimate of personal expenses because student spending habits differ considerably. We would suggest a minimum of $1,500 (for those who do not choose the homestay option, this $1,500 is above and beyond meal expenses). However, students on a tight budget should be able to manage with less. You will also have a two-week break during the semester so you may want to budget an additional amount for travel. If you are concerned about finances, we strongly encourage you to talk to the CGE staff who can offer information and advice based on your specific situation.